Melanie Bisnauth, recently joined maHp this year and is currently completing a PhD in Population and Public Health in collaboration with the School of Public Health and the African Centre for Migration & Society through the University of Witwatersrand. Bisnauth’s pursuit focuses on patient-centered care in South Africa because she wanted to provide a platform that would give voice to those often silenced – whether it’s the patients or frontline healthcare professionals. South Africa has the world’s largest HIV epidemic, and among the 7.1 million (STATS SA, 2016) people living with the disease, women aged 15-24 account for 25% of new infections – four times that of men. 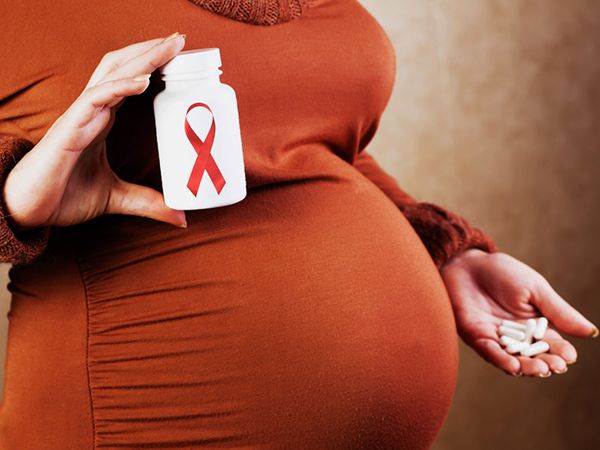 The prevalence of HIV infection among pregnant women is likely to remain high for at least the next two decades because the number of people receiving life-long antiretroviral therapy (ART) in South Africa and is still increasing and is predicted to plateau at around 3 million in 2017. An estimated 70.4% of maternal deaths in South Africa were associated with HIV infection, as were half of all deaths of children younger than 5 years old. Consequently, the success of programmes for the prevention of mother-to-child transmission (PMTCT) of HIV is critical for reducing maternal and child mortality and morbidity rates. Her focus is on strengthening the response to marginalized women in high mobility contexts who are facing accessibility barriers when it comes to Prevention of Mother to Child Transmission (PMTCT) HIV health care services. This work builds on her Masters research titled, Evaluation of the new Option B+ PMTCT programme for HIV infected women at hospital facilities. This was a case study conducted at the Rahima Moosa Mother and Child Hospital (RMMCH) in Johannesburg, South Africa. Bisnauth presented the interesting study findings at the AIDSImpact Conference in Cape Town, South Africa on November 13th, 2017. Children’s Radio Foundation also conducted an interview about the study. In 2015, Bisnauth’s research investigated South Africa’s Department of Health adoption of the World Health Organization’s (WHO) 2013 consolidated guidelines on the use of ARVs for treatment and prevention of HIV infection. The guidelines include changes for PMTCT through implementation of Option B+ also known as lifelong treatment option. This treatment option aimed to reduce the HIV prevalence rate amongst these women by placing them on ART for life, irrespective of their CD4 count through a fixed dose combination pill taken once daily. As a result, these guidelines were implemented for the PMTCT programme at RMMCH. Little was known about the impact of the new guidelines on the work of healthcare professionals in state hospitals. Most importantly, no research has focused on how these changes have affected adherence for the patients. The purpose of this research was to 1) to explore the impact of the Option B+ PMTCT programme on the work of healthcare professionals, and 2) to understand pregnant HIV-positive women views and experiences with ART for life, as a way to better manage the Option B+ PMTCT programme. An observational study design was used with a phenomenological approach to investigate the lived experiences of healthcare professionals and patients. The methodology used demographic questionnaires and conducted 67 one-on-one semi structured interviews with 55 pregnant HIV positive women and 12 healthcare professionals. The thematic analysis was used within an Accessibility Framework to guide the identification of domains that emerged from all transcribed data. A convenience sample in the antenatal clinic, postnatal clinic, antenatal ward, OBGYN and Department of Paediatrics and Child Health at RMMCH. The study was situated at RMMCH, located in the suburb of Coronationville and a few squatter camps rest behind the hospital. It has 110 paediatric, 30 neonatal, 6 intensive care beds. The healthcare workers see more than 36,000 outpatients annually and 17 clinics refer to the antenatal clinic. Rahima has more than 10,000+ births a year. The findings demonstrated that work has become difficult to manage for all healthcare professionals because of (1) the need for strengthening indicators for tracking to decrease loss to follow-up (LTFU) because of increased numbers of pregnant women to put onto ART, at an accelerated fashion (starting treatment on the same day as being diagnosed HIV infected); (2) inconsistency in delivery of counselling and support services and the need for communication across clinical departments because guidelines take time to be translated across the healthcare system in a manner that allows for consistency in messaging; and (3) the lack of compassion and understanding by service providers – the longer time spent working at the facility revealed less patience working with patients. The difficult healthcare environment has affected overall views and experiences of pregnant HIV-positive women going on ART for life. All patient participants (n=55) responded that they chose to take the fixed-dose combination (FDC) for life to protect the health of the baby and felt ART for life can be stopped after giving birth, unaware of the long-term benefits to the mother. Implications for future research include the need to address changes within the healthcare system at both clinical and management levels. It is crucial to incorporate the perspective of patients in policy implementation; uptake and adherence are key indicators in informing whether the Option B+ PMTCT programme is being adapted into state hospitals effectively. There needs to be extensive research on how to strengthen indicators for long term scalability and sustainability of the programme. Future evaluations need to address how interdisciplinary collaboration within healthcare facilities improves the management and understanding of Option B+ programme. The recommendations for policy is to include the perceptions of both patients and healthcare professionals because this can help address issues before policy implementation takes place. It is recommended for practice that healthcare professionals at RMMCH use an approach for interdisciplinary collaboration when managing the Option B+ PMTCT programme. Communication is key in helping patients build trust in service delivery of the programme and can alter their perceptions on adherence and most importantly understanding the benefits for both herself and the baby. Bisnauth will now conduct further research in 2018 speaking to the PMTCT programme, specifically exploring the challenges migrant HIV-positive women face when accessing healthcare services at RMMCH. This study is a step towards discovering how foreign women feel about access in a healthcare setting within South Africa, which can be applicable to other hospital frameworks internationally and inform how to effectively implement Option B+. This information is vital for healthcare professionals in what changes could be made to provide a holistic approach in its implementation. 0 Comments on "Evaluation of the Option B+ PMTCT programme for HIV-positive mothers"
responses to migration, health and well-being in the SADC region. Except where otherwise noted, content on this site is licensed under Creative Commons. You can copy, distribute and display original content (no modifications) for non-commercial purposes.